Give a man a fish and you feed him for a day; teach a man about omega 3 and you feed him for a lifetime. There’s a lot to say about fish oil, krill oil, EPA and DHA, to the types of fish you use and how its transformed from fish to capsule. Lots of details – and that doesn’t make it very simple. That’s why we’re going to approach this article on a need to know basis. Do you eat (fatty) fish 1-2 times a week? If yes, then this article is probably not for you. You get more than enough omega 3 from your diet to meet your daily requirements. Therefore, you can go on and live your life. However, surveys show that just half of the Flemish people put fish on the menu once a week. Some people - fortunately only a small percentage - even say that they never eat fresh fish. If you are one of those people, we suggest that you keep on reading! Do you eat a lot of processed foods? 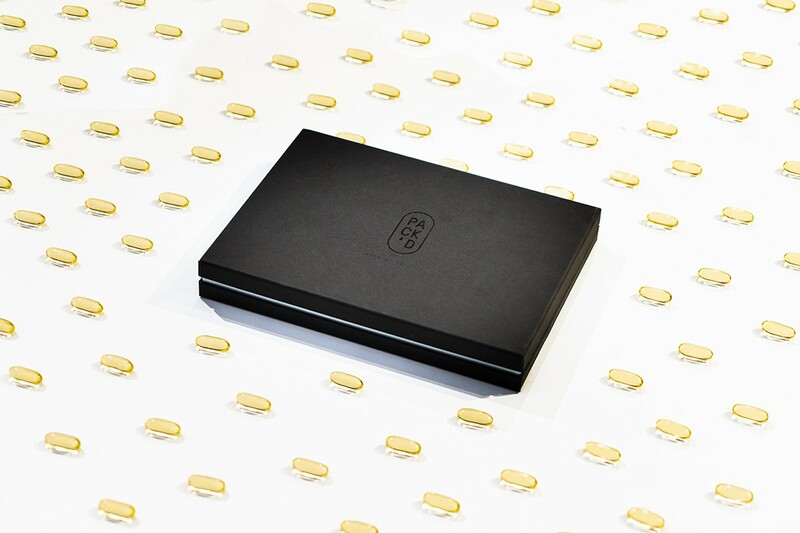 For fans of hard numbers, we’d like to introduce omega 6 into the conversation. It’s an essential nutrient found in meat, eggs and mainly vegetable oils derived from soy and sunflower. These oils are cheap and are added to many unhealthy and processed foods such as biscuits, chips and the microwave dishes you heat up after a long day of work. The availability of these processed foods caused a striking increase in the omega 6 to omega 3 ratio, going from a 2:1 or 3:1 in ancient civilizations to a whopping 15:1 to 17:1 in the current western diet. Why is this important? Some research suggests that a high omega 6/3 ratio creates a pro-inflammatory environment which can lead to an increased risk of chronic diseases such as cardiovascular disease and obesity. While this evidence is not yet conclusive, it seems likely that for most people, the intake of omega 6 should be reduced while the intake of omega 3 fats should be increased. Omega 3 is an essential nutrient. This means that omega 3 cannot be synthesized by the body, therefore you need to obtain it from the diet. 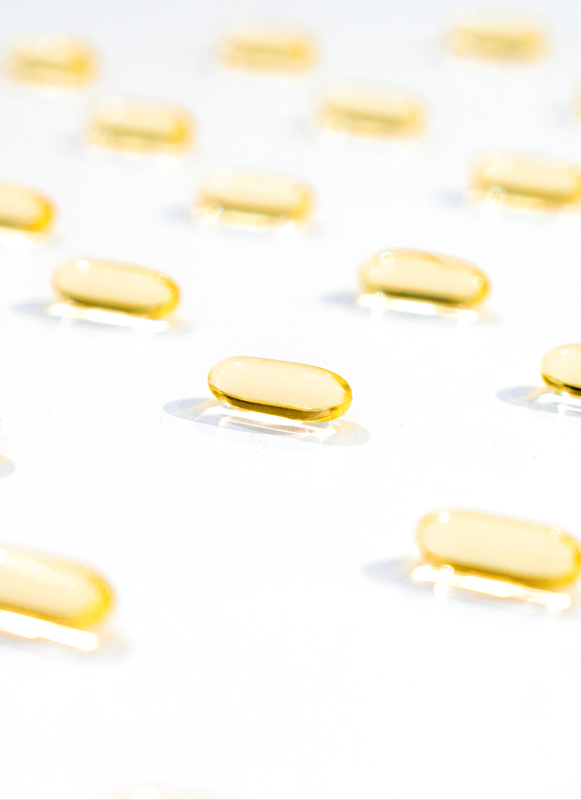 In fish oil, you’ll find two important omega 3 fatty acids: EPA and DHA. The higher the number of these 2 fatty acids, the more effective the supplement will be. That is why fish oil is a more interesting omega 3 source than krill oil. Although the latter is better absorbed than fish oil, you’ll need a lot more krill oil to get the same effect. This means that you need to ingest a lot more soft gels and calories if you want to get the same effective dose from krill oil. Another thing to consider is from which type of fish the oil is derived from. Fish oil from fish that are lower in the food chain, such as sardines and anchovies, are less likely to accumulate PCB’s and mercury. However, molecular distillation techniques allow purification of the fish oil, reducing the number of unhealthy toxins. There’re three common factors that we find very important: ease, quality, and comfort. The average omega 3 blend has 180mg EPA and 120mg DHA per soft gel. We’ve managed to source a very pure fish oil concentrate which allows us to put 500mg of EPA and 250mg DHA in just one soft gel. This all sounds a bit complex, but it just means that you get a clean and working dose in just one soft gel. Next to that the fish oil contains natural vitamin E to prevent oxidation. We’ve also used fish gelatin for our capsules instead of the regular gelatin that is made from the bones and/or skin of cows. It’s not vegan, but definitely fit for pescatarians. For comfort, we’ve also added a dash of lemon oil to mask the “fishy” after-taste often seen in lower quality fish oil supplement. Want to know more about the blend: discover a transparent list of ingredients here.